Most online poker sites are running festive promotions giving players the opportunity to add to their bankrolls before Christmas Day. But which is best for you? If you are looking for a little boost to your poker bankroll before the Christmas holiday, there are plenty of online poker sites running promotions to get you in the festive spirit. However, each one is a little different from the other in terms of difficulty and what you might win. Consequently, we have put together a site-by-site of the major promotions currently underway. You will notice there is a significant absentee from our list – PokerStars. 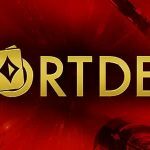 Although a big Christmas promotion was reported by several poker news sites, the world´s largest online poker site is waiting until the schedule for its forthcoming Winter Series is finalized before announcing the festive treats players can expect to find in their Christmas stockings. 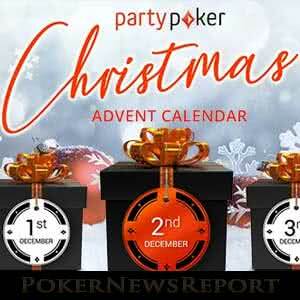 Party Poker´s Christmas Advent promotion is probably the easiest to benefit from and has the widest variety of prizes on offer. To benefit from this promotion, all you have to do is opt in every day and then earn one cashback point by paying $1.00 of rake at the cash game tables or paying a $1.00 fee to enter a Sit & Go game or multi table tournament. Once you have achieved your objective, you will be awarded a random prize ranging from a Sit & Go Jackpot ticket, to a FastForward cash bonus, to a free sports bet, to extra cashback points, to free spins on the Mega Bars slot game. Watch out for terms and conditions associated with each prize and time limits for when the prizes have to be used. 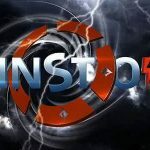 By comparison, Everest Poker´s Advent Calendar is probably the toughest to benefit from, and probably only suitable for players with a good record in hyper-turbo Sit & Go games – because the likelihood is you will win an entry ticket to one of the site´s Twister games if you manage to complete the daily challenge – and that´s not a forgone conclusion. Whereas some of the daily challenges are straightforward (i.e. play ten cash game hands), others – such as winning a hand of €5 Twister with a Full House – are difficult to complete. If you manage to complete multiple challenges before Christmas Day, you can claim extra spins of the prize wheel; but, if you don´t win a Twister ticket, you´ll likely end up playing a freeroll on Boxing Day with a €500 prize pool. 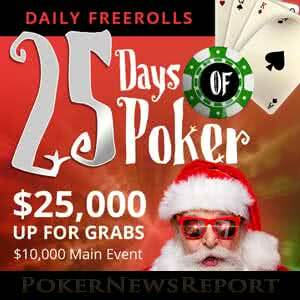 BetOnline Poker´s 25 Days of Poker is a mix of the above two promotions inasmuch as you have to collect a predetermined number of Comp Points by 8:00pm (ET) in order to be entered into an All-In Shootout the same evening. The number of Points required and the Shootout´s prize pool change every day and we noted in last week´s article about the promotion. What´s good about this Christmas promotion is that, if you win a prize in the Shootout, it is awarded to you in cash. 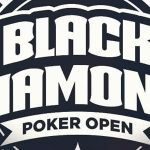 Furthermore, if you finish in one of the top twenty-five places in any Shootout, you will also win a ticket to a freeroll tournament on Christmas Day with a $10,000 prize pool. We would point out however, that the qualifying criteria for entering the Shootout is a little tough. 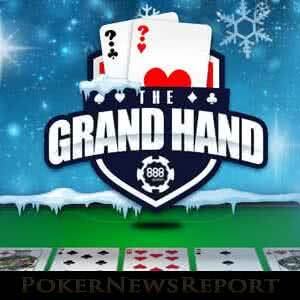 Although strictly speaking not a Christmas promotion, 888Poker´s Grand Hand promotion is one of the best promotions the site has run all year. You could qualify for a small cash prize or a ticket to a freeroll tournament by playing just a few hands of $0.02/$0.05 Texas Hold´em, but you could also win a $100 or $1,000 cash prize just as easily. As we mentioned in our article about 888Poker´s Grand Hand promotion, this promotion finishes on Monday 17th December ahead of a new set of offers supporting the site´s XL Blizzard series. So, if you fancy taking part in this promotion, you need to head over to 888Poker by the end of the week. Alternatively, you might want to wait until the events supporting the XL Blizzard series are announced. Naturally, we hope to see something from PokerStars over the next couple of weeks, but even without the site´s participation in Christmas, there is still plenty going on. 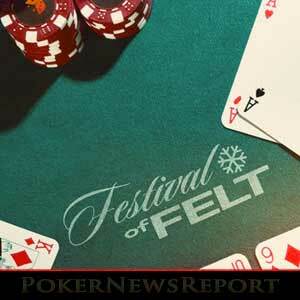 Both Bovada Poker and Ignition Poker are running a Festival of Felt which includes a couple of valuable tournaments this coming Wednesday (the last of its “Twelve Days of Turbos”). The two sites will also be hosting a special edition Wild Wednesday on December 26th and a New Year Mini Series starting on January 1st. 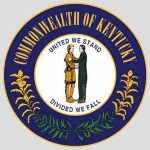 Whatever promotion(s) you decide to take part in, good luck at the tables.